After not sleeping for two days in a row, and having in the past struggled with getting even five hours of sleep at the most, this topic seemed inspiring. I wish to explore the effects of insomnia. Does not sleeping have any positive effects? According to WebMd, insomnia is extremely likely to cause the sleepless person to develop depression and anxiety. Though in my mind, it makes much more sense for it to be the reverse, with depressive or anxious thoughts keeping someone up. Either way, sleeplessness is a very common to be paired up with depression and anxiety, so these two do go hand-in-hand. 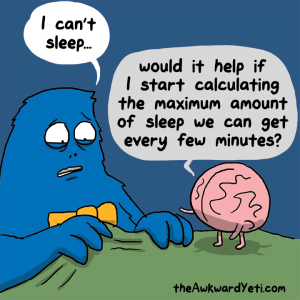 If your sleeplessness starts as all-nighters for exams and completely screws up your sleeping schedule, you are likely to develop anxiety and depression, and likewise if you have anxiety or depression, sleep may become increasingly difficult. Some other effects WebMd covers is forgetfulness, weight gain, and that without sleep, you are more likely to die sooner. In fact, any positives I was able to find are not scientific what so ever, but this list I found was fun to say the least. I can definitely relate that some of my best work (particularly art pieces) came from sleepless nights. Sleep is fairly important, so I should probably stop falling asleep at 4 AM. My uncle is a sleep technician which is the people you go see if you’re having trouble sleeping. We’ve talked a lot about sleep and the effects of not sleeping. I would be curious to see what you found on the amount of sleep people get. They always talk about getting 8 hours but do you think that trying to achieve that goal is putting added pressure to sleep? Oh absolutely! I have spent many nights looking at the clock thinking “If I fall asleep now I will get _____ hours ____ minuets of sleep,” and those thoughts keep me up. I don’t remember the last time I got 8 hours of sleep on the night before I had to wake up early, in all honesty. And a lot of doctors say teenagers and people in their early 20’s should get ten hours of sleep, as their brains are still developing! I’ve been struggling with insomnia since I was 13 years old. I am now a 19 year old college student and still unable to sleep through the night properly. I wish you had mentioned the actual physical implications of lack of sleep. Examples like higher blood sugar or slow motor skills. Cool post. Thank you Ademilola! I’m sorry to hear that. I was struggling sophomore year of high school, then I saw a post about this vitamin drink that has worked for me and a lot of other insomniacs! Jut be aware you only need to drink 1/4 to a half of the bottle, start sipping on it about an hour before you want to go to bed, because if you just chug the whole bottle down you will feel nauseous. It has helped me sleep a lot better, and is sold at most CVS’s, I believe one of them downtown sells it. 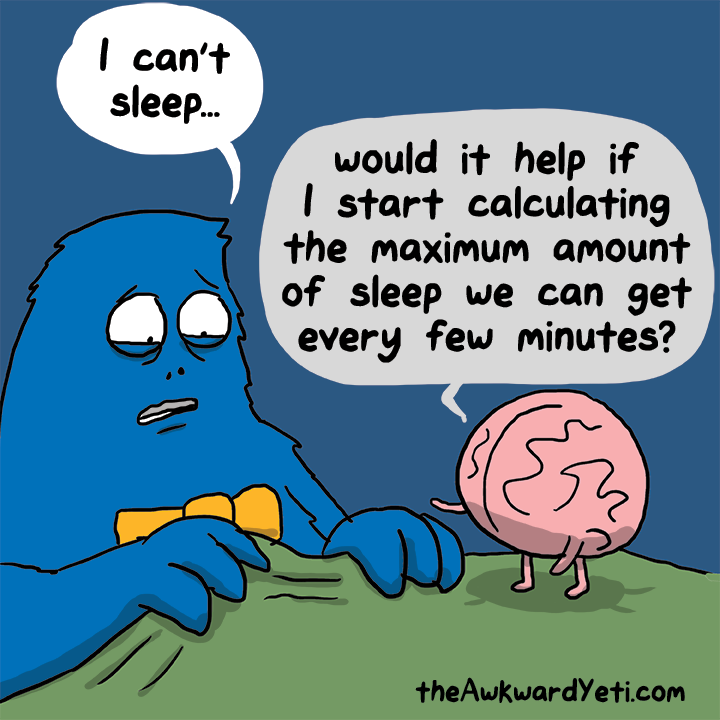 That is true, there are a lot of physical downsides to insomnia, besides just feeling tired. This article shows that a lack of sleep can also lead to an increased chance of heart disease or failure! I wish you luck in sleeping and upcoming exams!